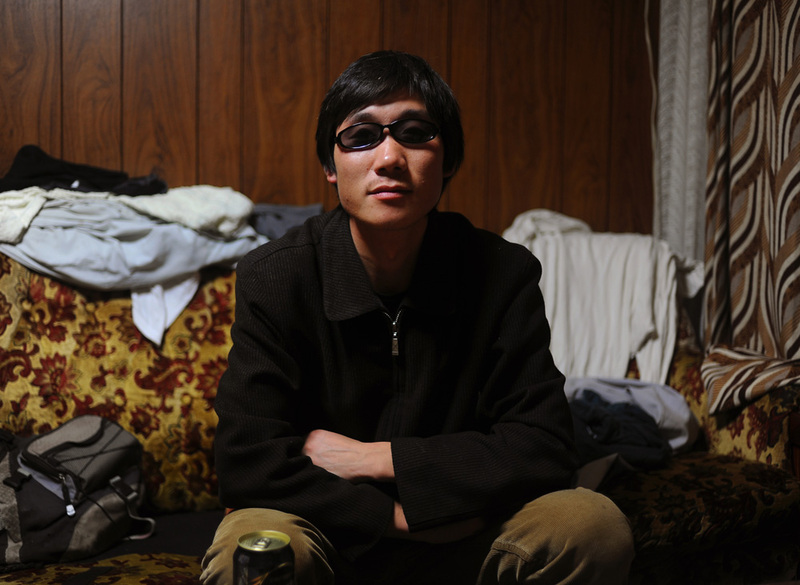 Li Chuan-hua poses with a bit crooked sunglasses which he bought at 100yen discount store after drinking beer. He has recently quit smoking. He said, "I hope I will be my boss in China soon."